BRYAN EATON/Staff photo. 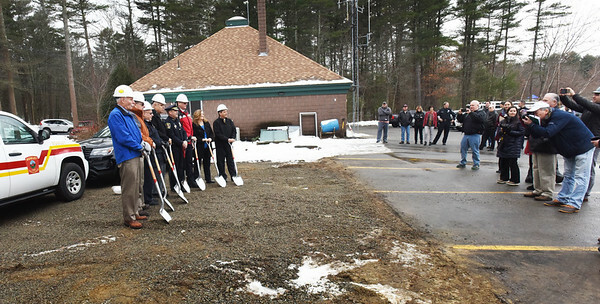 Rowley officials recently gathered for a groundbreaking ceremony at the site of the new fire and police stations on Haverhill Street. The present police station, rear, will be added to on the westerly side, and the firestation to the east with the driveway coming through where the dignitaries are pictured. Haverhill Street is to the left of photo view.